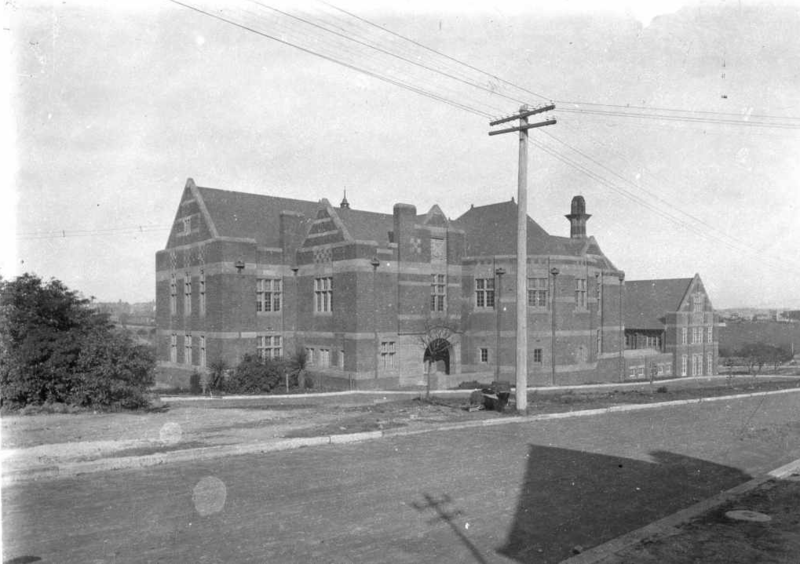 In 1904 the University received a second benefaction from Russell on condition that a new building for engineering was erected. This was sited below the original west gate and started in 1906. Designed by the government architect Walter Liberty Vernon it was set back from the ridge along which the road runs to the south. Internally it was specifically designed to accommodate engineering needs and if you go in you will see some surviving features of this such as the extra wide corridors and linked open spaces. There were problems in equipping the building. 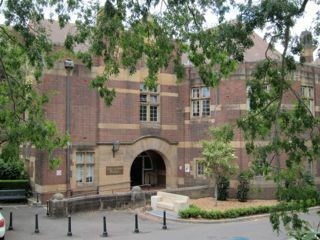 A substantial addition, of reinforced concrete with brick walls and sandstone dressings to harmonise with the existing facades, was built across the whole of the south side of the original buildings in 1939-1942. This provided aerodynamics and hydrodynamics laboratories and was funded largely by the Federal Government under whose aegis the Chair in Aeronautics had been founded — a significant early intervention of the Federal government in an area that was the preserve of the state. Significant features such as the curved lecture theatre and tapered chimney survive. With the removal of engineering to a new site in Darlington in 1968 the building was vacated and converted for use by Arts (initially dominantly English) and Agriculture. Its lower floor now also houses Performance Studies.